Have you noticed how many emails you’ve received lately with symbols in the subject lines? Do you ♥ them or them? Does cute when it comes to email subject lines or should we them out of the mix? Because of the novelty and cute factor that comes with using symbols, they aren’t for everyone. If you own a flower shop, inserting a flower icon in your subject line could make total sense both to the subject matter and your audience. However, if you’re a law firm, or a funeral home symbols in your subject lines may be inappropriate. The star symbol in this case perfectly fits a brand that’s known for their fun and interactive messaging both in email and on social media. The star symbol is also simple and makes sense in the subject line because it complements the content of the email which is all about their top-rated items. Hearts and stars are, not surprisingly, the most frequently used special characters. As we move into summer, I imagine we’ll see more suns, maybe a few umbrellas and with back-to-school the addition of symbols like pencils and books. Fall could bring leaves and pumpkins, and maybe a few spiders or cats; and as winter rolls in, be on the lookout for snowmen and snowflakes on your inboxes’ subject lines. If you’re going to use symbols, remember the rule of less is more. Limit your use to 1 or 2 in your subject line. We recently tested using a symbol in our subject line and it had zero effect on our open rate, so it’s worth trying. It might even give your open rate a bump up! 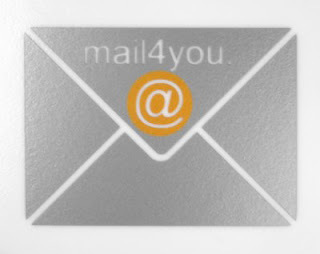 Many email clients, such as Gmail, Hotmail and Yahoo! support symbols, and your messages may render differently on varying mobile devices including the Big 3: Android, BlackBerry and iPhone. Make sure you test your emails before you launch them and view them in different email clients and devices. Try a service like Email on Acid which will show you 48 variations. #DIGITAL: Symbols in Email Subject Lines – Hot or Not?